Lure Foils, matched pairs: These matched / handed pairs are designed primarily for bass/pike plugs, but lend themselves to many other applications, including flash on pirks, large spoons & inside soft plastics. I have also seen these used for bodies on big predator flies. There are five colours with two types of silver, engine turned & holo squares. 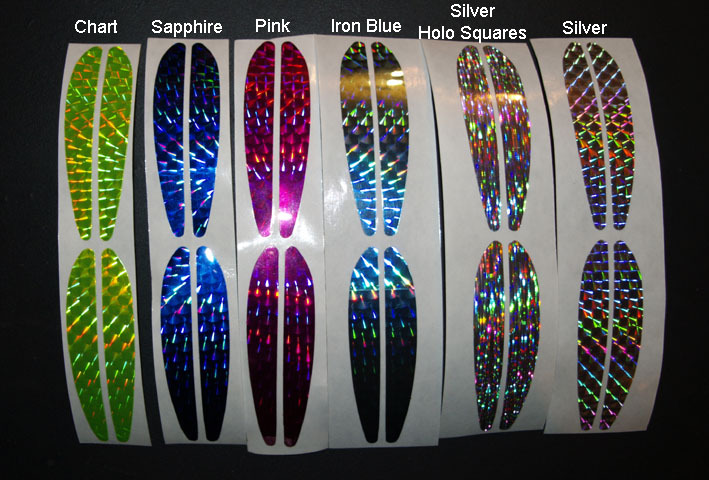 Lure Foils, Pairs & Blades: Here we have smaller lure body pairs & oval's for blades, giant eyes, or target spots. The body pairs are 1 3/16" / 30mm X 1/4" / 5mm & the larger ones are 1 9/6"/40mm X 10 at the widest point & are perfectly suited for pimping / making ultralite lures. 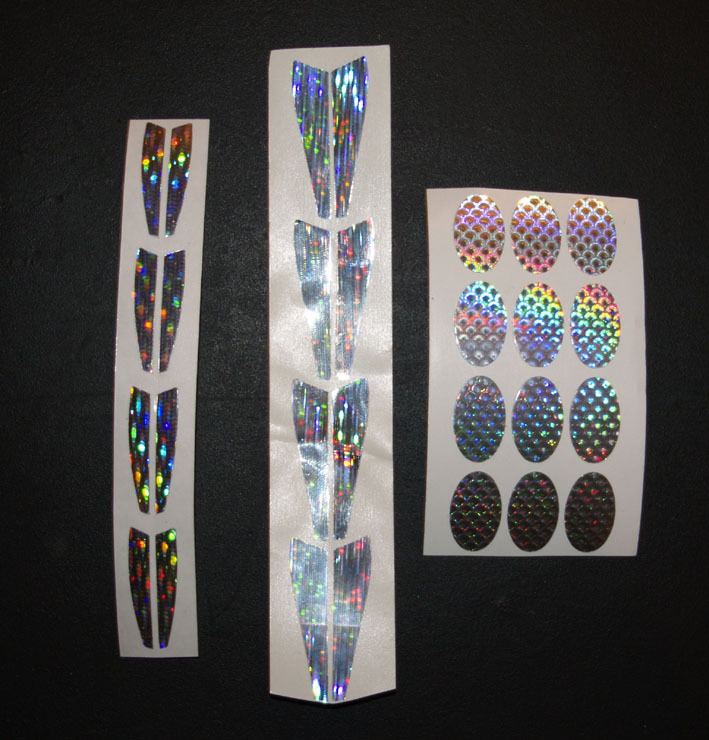 The ovals are 3/4" X 1/2" 20mm X 12mm & have a traditional holographic scale design, while the pairs have a longitudinal scale design. All are made in the USA by the same company, with strong water proof glue.